Northborough – Anne M. Detora, 91, of Northborough, passed away Jan. 15, 2019 in her home. Born in Brussels, Belgium, she was the daughter of the late Jane L. and Octave Herman. She came to Providence from Belgium in 1953, and was followed by her mother and most of her eight siblings. Anne met her late husband John while working for Mohawk Airlines as a flight attendant. After several years of raising children, Anne re-entered the workforce as a podiatric assistant. She loved working with patients – getting to know them, helping relieve their pain, and providing emotional support. Anne and John lived most of their 50 married years in Carlisle, Mass. and Atlanta, Ga. They moved to Northborough to be close to their grandchildren. Family was Anne’s priority and joy. She was an adoring, caring, actively involved grandmother and mother. She delighted in everything her grandchildren did, and always supported their interests. 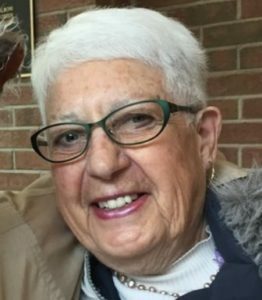 Anne was an active member of St. Bernadette’s in Northborough and in her neighborhood community. She was an avid reader, birdwatcher, gardener, baker, and nature lover. Anne was predeceased by her son, Mark, and is survived by her daughter, Danielle of Stow; her son-in-law, Andy; and two grandsons, Spencer and Jonas, as well as three sisters, Suzanne Ziegelmayer of Smithfield, R.I., Marie-Jeanne DuBois of Prescott, Ariz., and Raymonde Navarette of Wakefield, R.I.; and Benjamine Wilson of Seattle, Wash.; and many nieces and nephews. A funeral Mass was celebrated Jan. 19 at St. Bernadette Parish of Northborough. 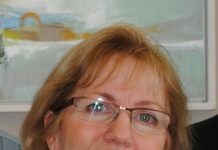 Please visit www.Haysfuneralhome.com to read Anne’s complete obituary or to leave a condolence. Anne’s family respectfully request that, in lieu of flowers, please consider a memorial donation to a charity of your choice.